For more information about EARLI follow the links below. 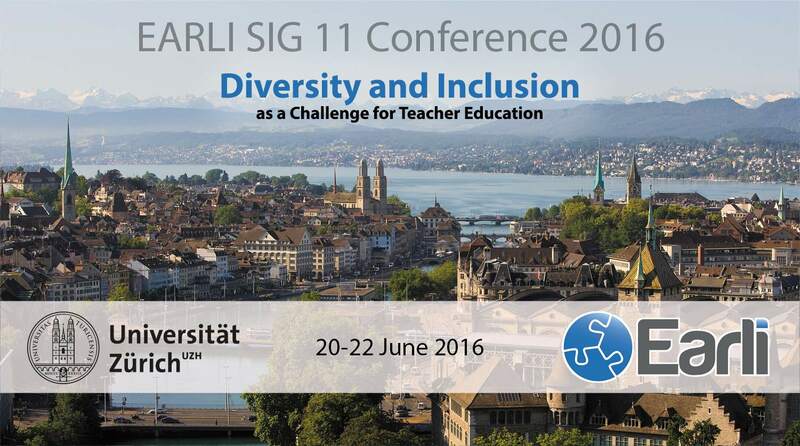 EARLI SIG 11 "Teaching and Teacher Education"
"Diversity and Inclusion as a Challenge for Teacher Education"
The SIG 11 "Teaching and Teacher Education" of EARLI - the European Association for Research on Learning and Instruction - invites researchers to join the conference 2016 in Zurich and to present and discuss their recent research. The SIG 11 conference offers a platform for fostering the scientific discourse on current topics of high-quality teacher education research, which is meaningful for practice and may facilitate teacher education in all phases of a professional career. The conference theme is "Diversity and Inclusion as a Challenge for teacher Education". Societal demands regarding education are constantly changing and strongly influence what happens in our schools and classrooms, as well as the demands placed on teachers. One of the crucial developments of our decade, has been a change towards increased diversity in classrooms. This is, on the one hand due to policies on equality and the inclusion of children with special needs in regular classes. Further sources of diversity are extensive migration movements, which have become both more prevalent and more global. On the other hand, there is the theoretically and empirically based claim for learning opportunities, which should be adapted to individual students’ needs. Associated with these demands, expectations, roles, and responsibilities of teachers are changing, and often result in a differentiation of pedagogical functions within schools. As a consequence, activities of inter-professional collaboration have become highly relevant. Traditional teacher education curricula have to be revised and professional development programs to be developed. If we want to support these processes by means of empirically obtained data, and to support teachers to meet demands in professional ways, we need to learn more about the conditions under which they are able to develop their competencies at the beginning of and during their careers. Research based contributions to the conference theme, as well as to other relevant questions of teacher education are welcome. To encourage excellent presentations of young researchers there will be awards for the best poster and best presentation of JURE-members. In addition and for the first time in SIG 11 history, we invite and encourage young researchers to apply to hold a JURE keynote. The Call for Papers is now open.